Lipids include a diverse group of compounds that are largely nonpolar in nature. This is because they are hydrocarbons that include mostly nonpolar carbon–carbon or carbon–hydrogen bonds. Non-polar molecules are hydrophobic (“water fearing”), or insoluble in water. Lipids perform many different functions in a cell. Cells store energy for long-term use in the form of fats. Lipids also provide insulation from the environment for plants and animals ([link]). 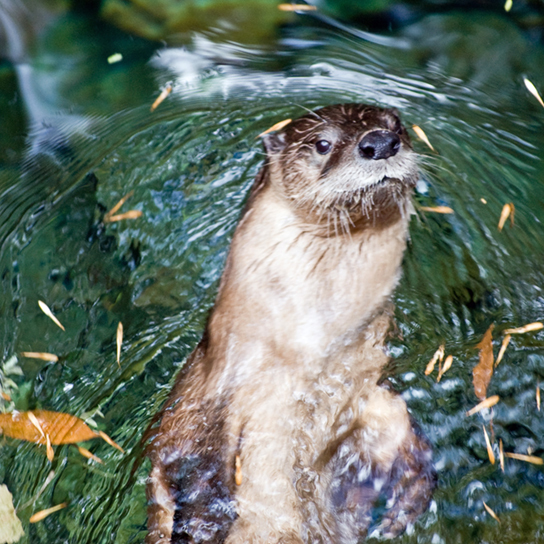 For example, they help keep aquatic birds and mammals dry when forming a protective layer over fur or feathers because of their water-repellant hydrophobic nature. Lipids are also the building blocks of many hormones and are an important constituent of all cellular membranes. Lipids include fats, oils, waxes, phospholipids, and steroids. A fat molecule consists of two main components—glycerol and fatty acids. Glycerol is an organic compound (alcohol) with three carbons, five hydrogens, and three hydroxyl (OH) groups. Fatty acids have a long chain of hydrocarbons to which a carboxyl group is attached, hence the name “fatty acid.” The number of carbons in the fatty acid may range from 4 to 36; most common are those containing 12–18 carbons. In a fat molecule, the fatty acids are attached to each of the three carbons of the glycerol molecule with an ester bond through an oxygen atom ([link]). During this ester bond formation, three water molecules are released. The three fatty acids in the triacylglycerol may be similar or dissimilar. Fats are also called triacylglycerols or triglycerides because of their chemical structure. Some fatty acids have common names that specify their origin. For example, palmitic acid, a saturated fatty acid, is derived from the palm tree. Arachidic acid is derived from Arachis hypogea, the scientific name for groundnuts or peanuts. When the hydrocarbon chain contains a double bond, the fatty acid is said to be unsaturated. Oleic acid is an example of an unsaturated fatty acid ([link]). Oleic acid is a common unsaturated fatty acid. Most unsaturated fats are liquid at room temperature and are called oils. If there is one double bond in the molecule, then it is known as a monounsaturated fat (e.g., olive oil), and if there is more than one double bond, then it is known as a polyunsaturated fat (e.g., canola oil). 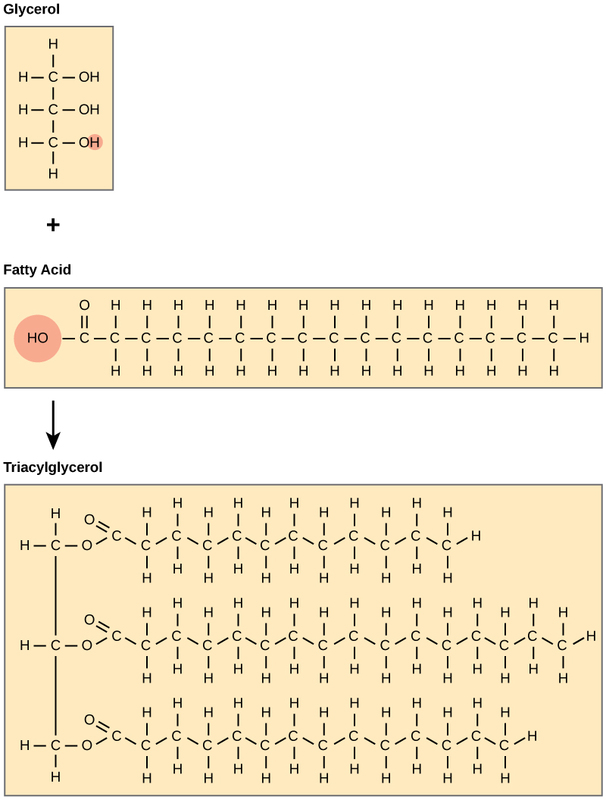 When a fatty acid has no double bonds, it is known as a saturated fatty acid because no more hydrogen may be added to the carbon atoms of the chain. A fat may contain similar or different fatty acids attached to glycerol. Long straight fatty acids with single bonds tend to get packed tightly and are solid at room temperature. Animal fats with stearic acid and palmitic acid (common in meat) and the fat with butyric acid (common in butter) are examples of saturated fats. Mammals store fats in specialized cells called adipocytes, where globules of fat occupy most of the cell’s volume. In plants, fat or oil is stored in many seeds and is used as a source of energy during seedling development. Unsaturated fats or oils are usually of plant origin and contain cis unsaturated fatty acids. Cis and trans indicate the configuration of the molecule around the double bond. If hydrogens are present in the same plane, it is referred to as a cis fat; if the hydrogen atoms are on two different planes, it is referred to as a trans fat. The cis double bond causes a bend or a “kink” that prevents the fatty acids from packing tightly, keeping them liquid at room temperature ([link]). Olive oil, corn oil, canola oil, and cod liver oil are examples of unsaturated fats. Unsaturated fats help to lower blood cholesterol levels whereas saturated fats contribute to plaque formation in the arteries. Saturated fatty acids have hydrocarbon chains connected by single bonds only. Unsaturated fatty acids have one or more double bonds. Each double bond may be in a cis or trans configuration. In the cis configuration, both hydrogens are on the same side of the hydrocarbon chain. In the trans configuration, the hydrogens are on opposite sides. A cis double bond causes a kink in the chain. In the food industry, oils are artificially hydrogenated to make them semi-solid and of a consistency desirable for many processed food products. Simply speaking, hydrogen gas is bubbled through oils to solidify them. During this hydrogenation process, double bonds of the cis– conformation in the hydrocarbon chain may be converted to double bonds in the trans- conformation. Margarine, some types of peanut butter, and shortening are examples of artificially hydrogenated trans fats. Recent studies have shown that an increase in trans fats in the human diet may lead to an increase in levels of low-density lipoproteins (LDL), or “bad” cholesterol, which in turn may lead to plaque deposition in the arteries, resulting in heart disease. Many fast food restaurants have recently banned the use of trans fats, and food labels are required to display the trans fat content. Essential fatty acids are fatty acids required but not synthesized by the human body. Consequently, they have to be supplemented through ingestion via the diet. Omega-3 fatty acids (like that shown in [link]) fall into this category and are one of only two known for humans (the other being omega-6 fatty acid). These are polyunsaturated fatty acids and are called omega-3 because the third carbon from the end of the hydrocarbon chain is connected to its neighboring carbon by a double bond. The farthest carbon away from the carboxyl group is numbered as the omega (ω) carbon, and if the double bond is between the third and fourth carbon from that end, it is known as an omega-3 fatty acid. Nutritionally important because the body does not make them, omega-3 fatty acids include alpha-linoleic acid (ALA), eicosapentaenoic acid (EPA), and docosahexaenoic acid (DHA), all of which are polyunsaturated. Salmon, trout, and tuna are good sources of omega-3 fatty acids. Research indicates that omega-3 fatty acids reduce the risk of sudden death from heart attacks, reduce triglycerides in the blood, lower blood pressure, and prevent thrombosis by inhibiting blood clotting. They also reduce inflammation, and may help reduce the risk of some cancers in animals. Wax covers the feathers of some aquatic birds and the leaf surfaces of some plants. Because of the hydrophobic nature of waxes, they prevent water from sticking on the surface ([link]). 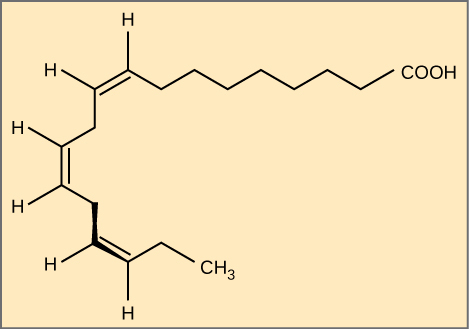 Waxes are made up of long fatty acid chains esterified to long-chain alcohols. Phospholipids are major constituents of the plasma membrane, the outermost layer of animal cells. Like fats, they are composed of fatty acid chains attached to a glycerol or sphingosine backbone. Instead of three fatty acids attached as in triglycerides, however, there are two fatty acids forming diacylglycerol, and the third carbon of the glycerol backbone is occupied by a modified phosphate group ([link]). A phosphate group alone attached to a diaglycerol does not qualify as a phospholipid; it is phosphatidate (diacylglycerol 3-phosphate), the precursor of phospholipids. The phosphate group is modified by an alcohol. Phosphatidylcholine and phosphatidylserine are two important phospholipids that are found in plasma membranes. A phospholipid is an amphipathic molecule, meaning it has a hydrophobic and a hydrophilic part. The fatty acid chains are hydrophobic and cannot interact with water, whereas the phosphate-containing group is hydrophilic and interacts with water ([link]). 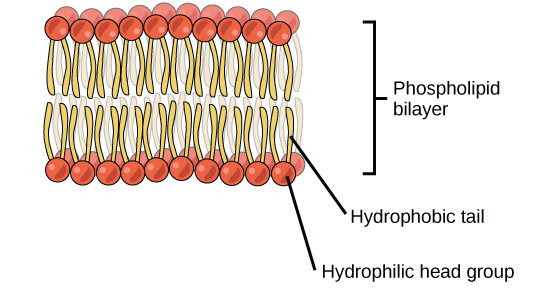 The phospholipid bilayer is the major component of all cellular membranes. The hydrophilic head groups of the phospholipids face the aqueous solution. The hydrophobic tails are sequestered in the middle of the bilayer. The head is the hydrophilic part, and the tail contains the hydrophobic fatty acids. In a membrane, a bilayer of phospholipids forms the matrix of the structure, the fatty acid tails of phospholipids face inside, away from water, whereas the phosphate group faces the outside, aqueous side ([link]). Phospholipids are responsible for the dynamic nature of the plasma membrane. 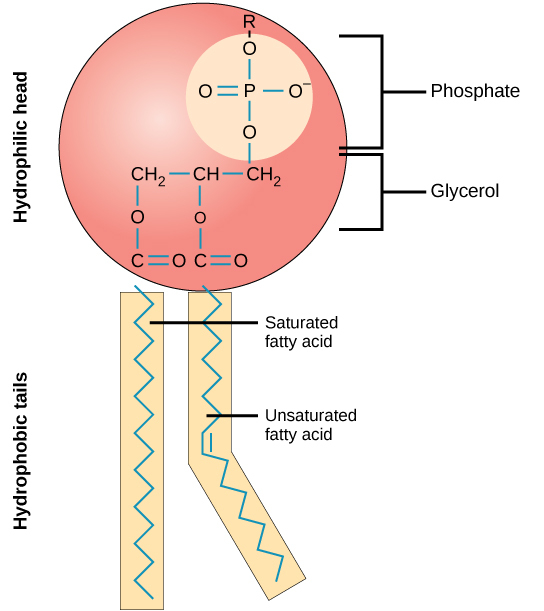 If a drop of phospholipids is placed in water, it spontaneously forms a structure known as a micelle, where the hydrophilic phosphate heads face the outside and the fatty acids face the interior of this structure. Unlike the phospholipids and fats discussed earlier, steroids have a fused ring structure. Although they do not resemble the other lipids, they are grouped with them because they are also hydrophobicand insoluble in water. All steroids have four linked carbon rings and several of them, like cholesterol, have a short tail ([link]). Many steroids also have the –OH functional group, which puts them in the alcohol classification (sterols). Steroids such as cholesterol and cortisol are composed of four fused hydrocarbon rings. Cholesterol is the most common steroid. 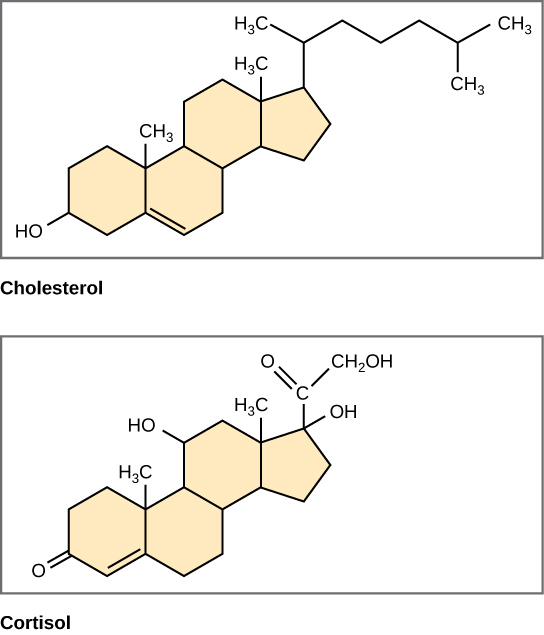 Cholesterol is mainly synthesized in the liver and is the precursor to many steroid hormones such as testosterone and estradiol, which are secreted by the gonads and endocrine glands. It is also the precursor to Vitamin D. Cholesterol is also the precursor of bile salts, which help in the emulsification of fats and their subsequent absorption by cells. Although cholesterol is often spoken of in negative terms by lay people, it is necessary for proper functioning of the body. It is a component of the plasma membrane of animal cells and is found within the phospholipid bilayer. Being the outermost structure in animal cells, the plasma membrane is responsible for the transport of materials and cellular recognition and it is involved in cell-to-cell communication. Lipids are a class of macromolecules that are nonpolar and hydrophobic in nature. Major types include fats and oils, waxes, phospholipids, and steroids. Fats are a stored form of energy and are also known as triacylglycerols or triglycerides. Fats are made up of fatty acids and either glycerol or sphingosine. Fatty acids may be unsaturated or saturated, depending on the presence or absence of double bonds in the hydrocarbon chain. If only single bonds are present, they are known as saturated fatty acids. 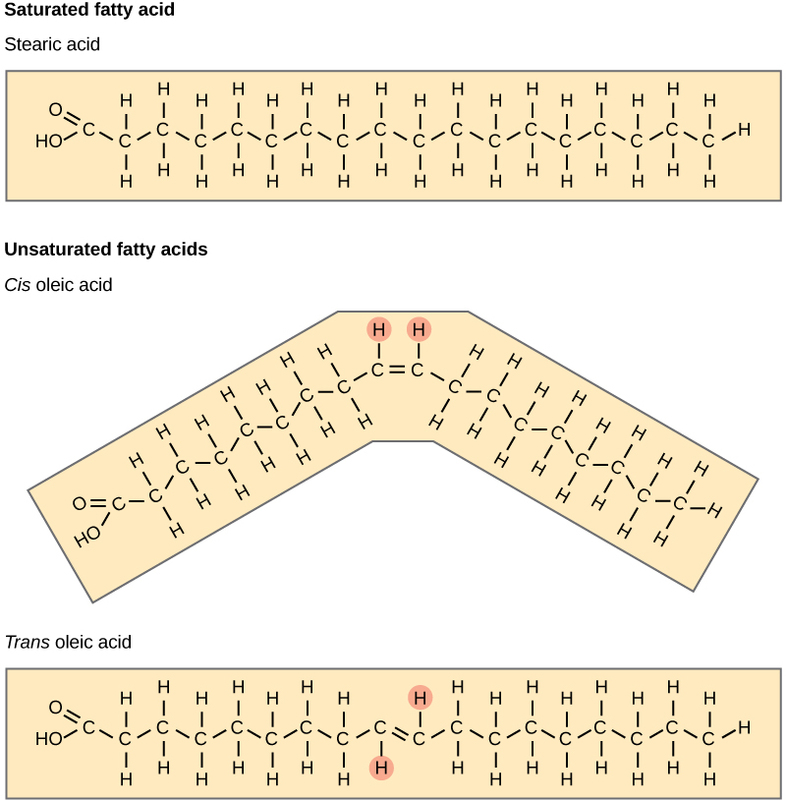 Unsaturated fatty acids may have one or more double bonds in the hydrocarbon chain. Phospholipids make up the matrix of membranes. They have a glycerol or sphingosine backbone to which two fatty acid chains and a phosphate-containing group are attached. Steroids are another class of lipids. Their basic structure has four fused carbon rings. Cholesterol is a type of steroid and is an important constituent of the plasma membrane, where it helps to maintain the fluid nature of the membrane. It is also the precursor of steroid hormones such as testosterone. Phospholipids are important components of ________. Explain at least three functions that lipids serve in plants and/or animals. Fat serves as a valuable way for animals to store energy. It can also provide insulation. 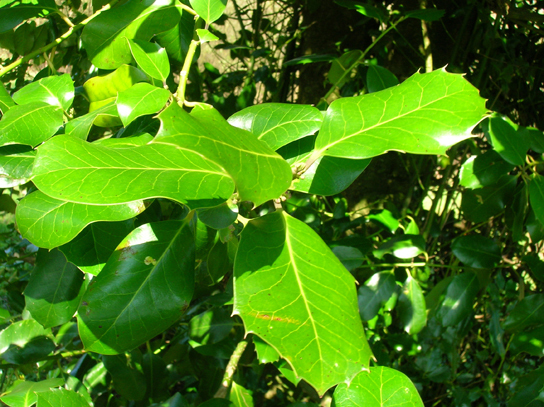 Waxes can protect plant leaves and mammalian fur from getting wet. Phospholipids and steroids are important components of animal cell membranes, as well as plant, fungal, and bacterial membranes. 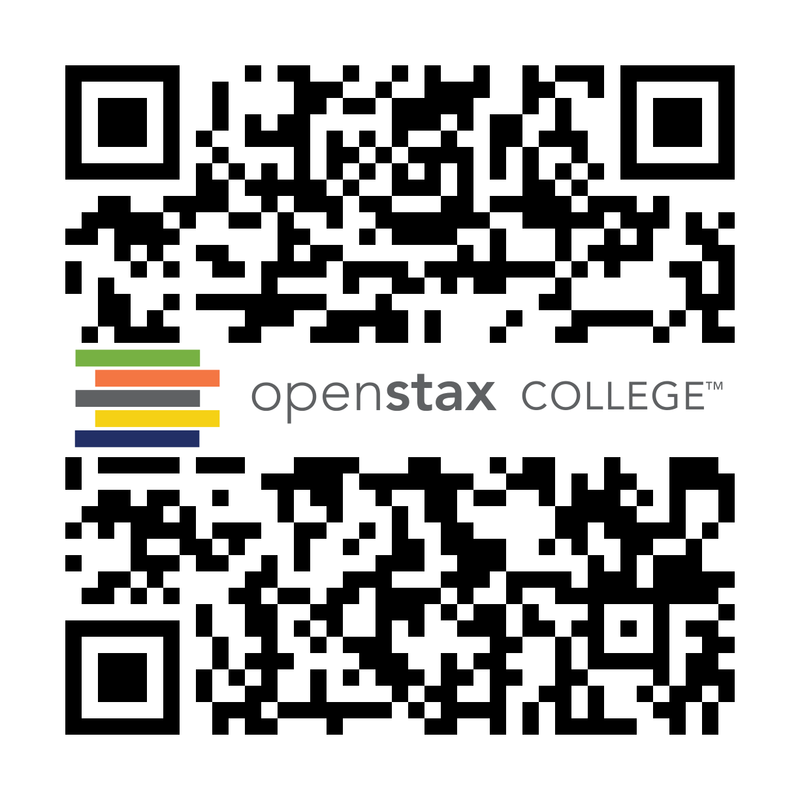 Lipids by OpenStaxCollege is licensed under a Creative Commons Attribution 4.0 International License, except where otherwise noted.